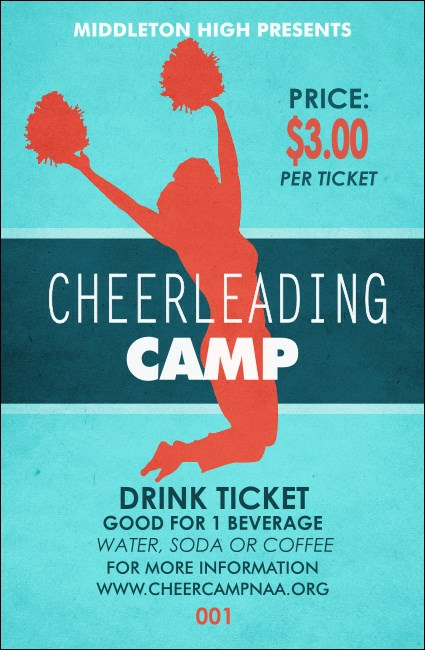 Let your guests break away from the normal routine when you give them Cheerleading Jump Drink Tickets for your next event. These tickets are full of spirit and feature a brilliant blue background with the image of a cheerleader in bright red jumping in the air and holding her pom poms overhead in mid-cheer. Find the right ticket to show your team spirit at TicketPrinting.com.